Yesterday I wrote about how I talked at BarCamp Philly last Saturday. I also attended some fun, inspiring and informational sessions by my wildly brilliant friends: @livlab, @globalcitizen, @waltribeiro, @bethharte, and @mknell. Check out the full schedule of all sessions at BarCamp Philly and some great photos on Flickr. How do you deal with coming into a project mid-stream? What do you do to help someone else come in mid-stream? Empressr, Microsoft are some of his clients. Rules of presenting. Just his opinion. There’s always a beginning, a middle, and an end. That’s nothing new. But what’s important are the characters that are involved. @globalcitizen showing photo of Sergey Brin & Larry Page. “Raise your hand if you know who these ppl are..
…and if you don’t, raise your hand anyway cuz it’ll be really awkward if you don’t.” Duh, founders of Google. None of @globalcitizen’s slides have any words on them. They’re only pictures. He’s very confident about his content. @srcasm is saying engage your audience. People want to participate, give back. It’s about ego, really. @waltribeiro gonna talk about how he built his brand from nothing. Been doing it for 8 months now. He answers every email, every twitter DM. Every Ustream or YouTube comment. Every single one of them. Sponsors care about numbers though, and they should. “It’s all about the hustle, and it’s about caring. You’re building up this community one by one by one…. @waltribeiro sells merchandise on his website, sells his music. “The way you build sponsors is the same way you build community.” A bit from Twitter. A bit from Ustream. Collectively, 100s. @waltribeiro updates his website every single day. Every single day. They also sent an email response to every single one they got. 5 million if I heard correctly! Rockin’ session @mknell! What a great story and you told it with such clarity and relevance. Thank you! And there you have it, folks! Five awesome sessions with a ton of useful info. 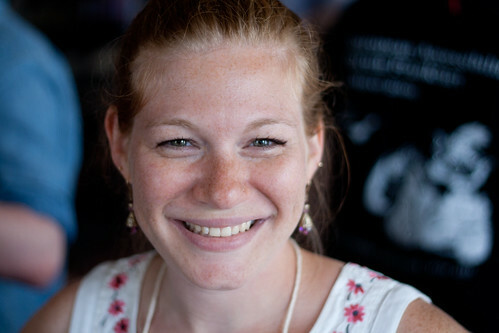 A huge thanks again to the incredible @stellargirl for everything she did to organize BarCamp Philly. Planning for BarCamp NYC4 is already in the works. I simply can’t wait! wow, thanks for recapping all the sessions i WISH i had gone to!! You really did an incredible job pulling all the pieces together. It felt like you had been organizing professional conferences for years! Thanks so much for everything. We had a blast. This recap derserves an award.. Or maybe a retweet.